Cool stuff you can use. 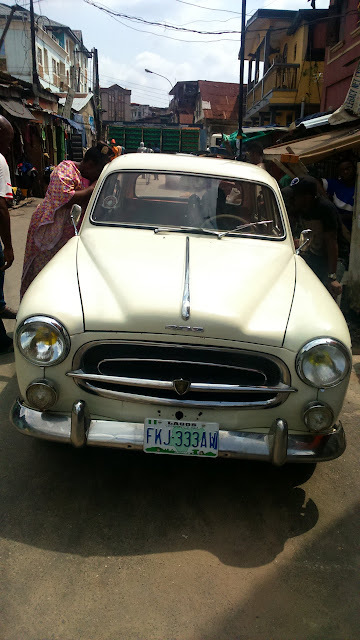 : Is this the Cutest Old School Car in Lagos? Cool stuff you can use. 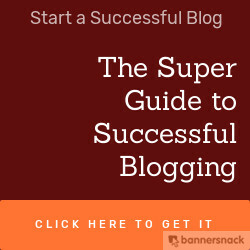 A blog that reflects my thoughts on business management and other useful information. Is this the Cutest Old School Car in Lagos? 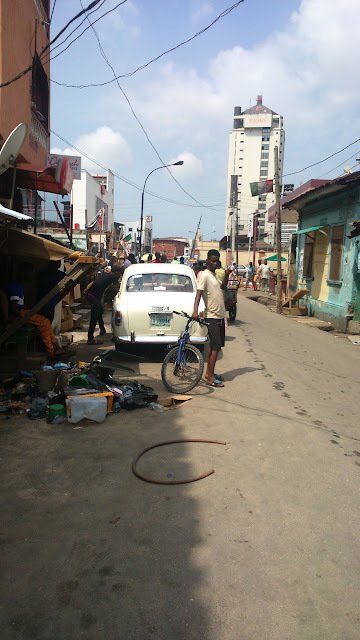 I was in Lagos Island at the weekend and saw this classic Peugeot 403, I had to take pictures and salute the owner for such a well preserved or restored specimen from the past. What do you think about it? Have you seen any 'old school' car that looks better in Lagos? You can contact us for adverts or consulting on online marketing, social media campaigns, business management and technology by sending an email to olatuson@gmail.com or call +2348085404500 (08085404500 if you are in Nigeria). This advice nails the simple idea of earning the respect of others. Who is the greater literary icon- Professor Wole Soyinka or Late Professor Chinua Achebe?